Who HASN'T imagined themselves as their favorite superhero or heroine, taking down the villains, saving the city or even the world from utter chaos? As far as video games are concerned (at least in the early years), there were many that fell short of this ideal (Superman 64 comes to mind, as do some of the early X-Men games on NES). Sure, there were a few good'uns (Maximum Carnage, for example), but in 2009 Warner Bros. Interactive along with Rockstar games, designed a series that essentially made us say "I am Batman." 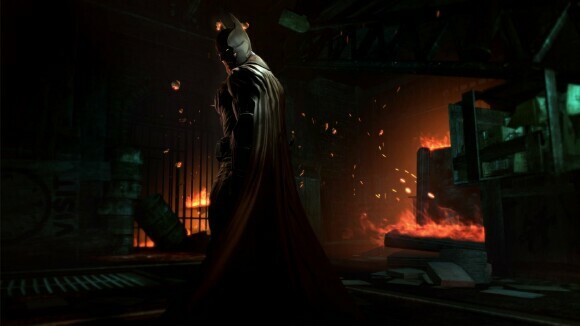 The Batman: Arkham series has become one of the biggest superhero game franchises in recent years; having said that, it looks like their latest incarnation of the series might just be their biggest game yet; developed by Warner Bros. Games Montreal, Batman: Arkham Origins takes what you know about Batman and pushes the envelope on fighting, strategy, and more. 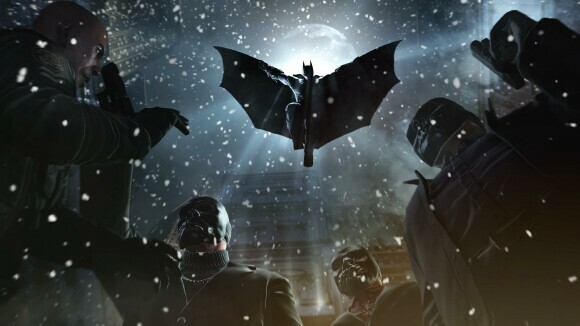 Arkham Origins takes place on Christmas Eve, five years prior to the original Arkham Asylum game. 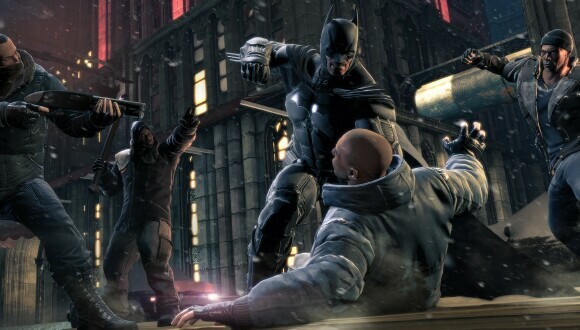 Batman is in his second year of taking down hoodlums, gangs, and mafia-types… but now, things are starting to heat up. Crime boss Roman Sionis (a.k.a. : Black Mask) puts a $50,000 bounty out on Batman, which is answered by a slew of Bat-regulars such as Killer Croc, Deathstroke, Bane, Firebug, and others. 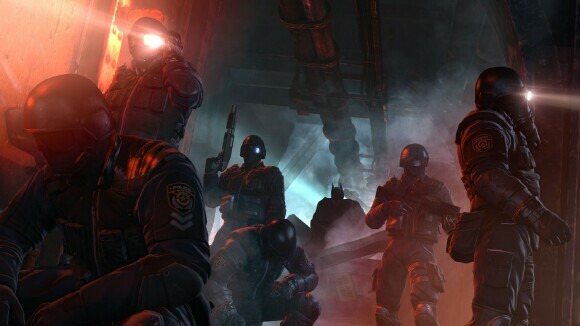 Knowing full well if he stays on the sidelines these assassins will cause havoc in Gotham, Batman uses all his skills and equipment to take them head-on. Firstly, the environment is massive! 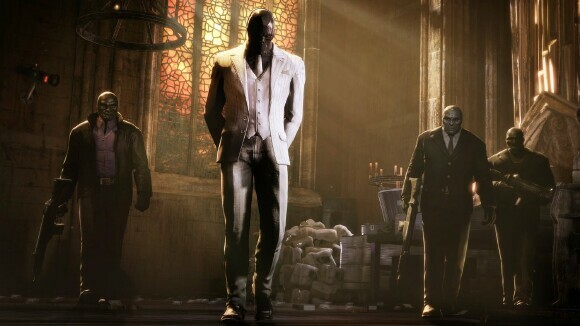 If you thought Arkham City was big, think about how much bigger Origins can be. Not only that, the sounds and sights of a Christmas Eve Gotham City makes for a bigger experience. I mean, as far as Christmas-themed Batman stories go, it certainly makes Batman Returns look tiny. As you progress through Gotham, you meet old baddies as well as some new ones. I'm rather glad the remodeled Killer Croc into a more "Animated Series" model. 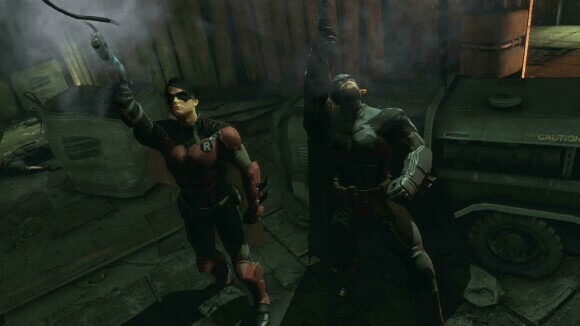 There's also Penguin (voiced once again by everyone's favorite adventurer/space core, Nolan North), Deathstroke, Bane, Riddler, and (duh) The Joker, now voiced by Troy Baker, due to Mark Hamill "retiring" from voicing… I have to say, both Baker as well as Roger Craig Smith voicing Batman did rather good jobs mimicking previous work by Hamill and Kevin Conroy. 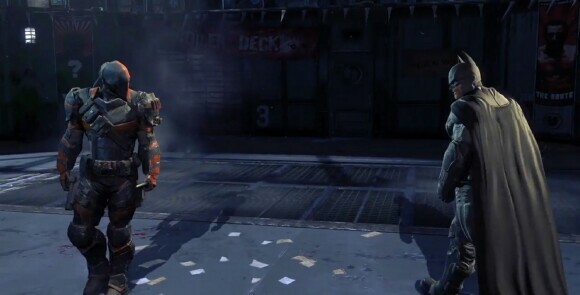 New characters consist of Firebug, Black Mask, and Shiva, among others. 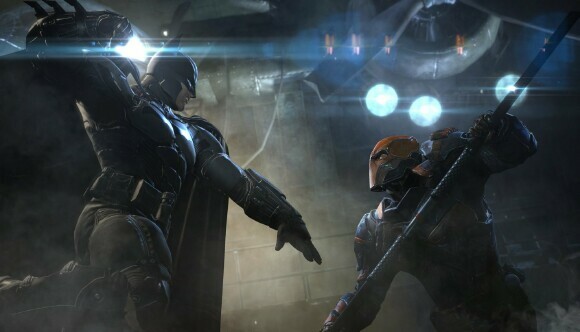 A definite plus: a Batman: Arkham game wouldn't be anything without your usual bat-gadgets and technology. The Caped Crusader comes with his usual Arkham gear… of course, your slew of Batarangs, grappling hook (now with an upgrade which makes it quicker to swing to rooftops and jump off to glide), and of course the explosion gel to blow up breakable walls. Origins also includes some nifty gear in the form of glue grenades (think like Spider-Man web balls), shock gloves, and a really cool grapple gun, which builds ropes for you to grapple and zip-line off of. There's also a "disruptor gun," reminiscent of the scene in Dark Knight Rises where Batman is on the Bat-Pod and powers off the lighting in the tunnel. Detective mode is back as well, this time with an added CSI-style bonus, where you get to scan elements in specific areas and solve clues and crimes. The fighting system has been given an extreme makeover as well. Back in September, WBI was gracious enough to have me over to their event in NYC to test drive Origins, specifically the opening fight between Batman and Deathstroke. It was a tough fight, but it definitely does away with the old lucky "button mashing" techniques you may have with other fighting games. Even with gangs surrounding you, that old strategy is pretty much useless; this is true even more so with various types of baddies ranging from your common thug, to knife-wielding psychos, all the way to super tough, Venom-fueled Bane followers. As you win each gang fight, you're graded on how you fared amongst the severity of your foes. Depending on how good you did, you're that much closer to obtaining the necessary upgrades to advance your skills, take down bosses and their lackeys more effectively. Think of it as Batman 101. While I enjoyed every minute of the experience, I was a tad disappointed that the main story in Story Mode is only about 20%. Considering how long Asylum and City both were, I figured I was only through half the game by the time the big plot twist was revealed. The rest of the mode involves you taking on side quests, stopping crimes, etc. Nothing much else that would advance the main story line. Although, considering how the last two games went, I am still hopeful that more of a story will appear in DLC form. 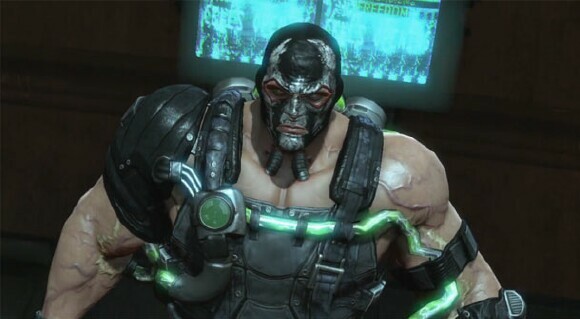 Bane can get pretty scary at certain points in the game. I suppose Venom will do that. If you love Batman (and you secretly want to be Batman), then this game will at least give you a few hours to imagine yourself as the Dark Knight. Why leave all the fun to Ben Affleck? The game is available now and on multiple formats including consoles, PC and handhelds. 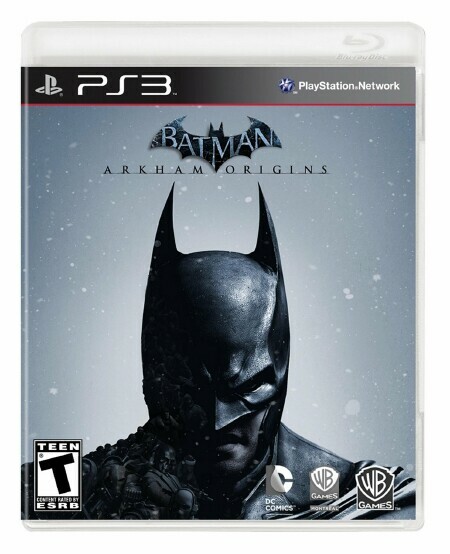 And out of TOV 5 stars, Batman: Arkham Origins gets 4 out of 5 TOV. The Good: Makes you wanna be The Bat!